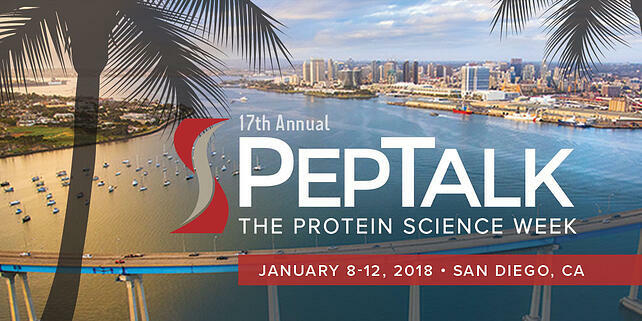 PepTalk 2018 was held again this January in San Diego, CA with a full week of technical talks, short courses, poster presentations and exhibits. While my perspective centers on protein molecule formulations, I do intersect the industry downstream, where instrumentation is tasked with characterizing drug formulations. Many orthogonal approaches are used for characterization and analysis. Some assess the nature and structure of the molecule, and some examine the final product profile in packaged form. The space of most interest to me is in between the development of the protein but before final shipment. During this span of drug production, the formulation scientist uses particle analysis to characterize the drug in the package, i.e. syringe, vial or IV bag. The abundance of particles in this size spectra was correlated with up to seven deaths from an approved and released drug where particles in this size range were not analyzed or documented. As was evident on the PepTalk exhibitor floor, the commercial instrumentation market has responded to this characterization and analysis need in recent years with the introduction of several novel technologies, as well as variants of established technologies. PepTalk was an excellent forum to communicate the advantages and disadvantages of each technology through technical talks, posters or exhibitor booths. One such example is the introduction of flow imaging for identification of nano particles, FlowCam Nano. Heretofore, only microparticles could be imaged. This opens a new world of feedback to formulation scientists and process technicians alike. The reality is that all the various instrumentation technologies have value depending upon what information or data is needed. Generally, a composite of a suite of instruments fulfill the need for effective characterization. What I observed from the proverbial 30,000-foot level at PepTalk is that the current state of regulatory approval standards lags significantly behind the rapid development and value of new instrument technologies. One set of guidelines (USP 788) mandates requirements for drug application submissions that fall far short of the new equipment’s ability to characterize proposed drugs (as evidenced by the approval and then recall of Peginesatide (Omontys®, Affymax, Inc. Cupertino CA) drug featured in the FDA paper. There is a disconnect between the slow-moving bureaucratic process for USP guideline modification, and the speed of innovation in instrumentation technology available to ensure safer and more effective formulations. PepTalk 2018 was an informative platform to expose practitioners to new and promising formulation analysis technologies, albeit in a context of stagnant safety and analysis requirement of governing bodies. I trust and hope that proactive efforts will be made to hasten implementation of better regulatory assessment technologies to ensure maximum safety standards for all approved biopharmaceutical drug products in the future.